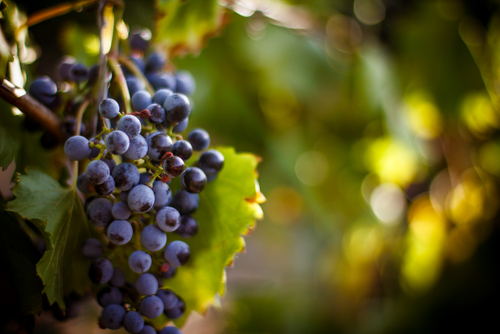 When you think of wine tasting, places like Napa Valley probably come to mind. But Indiana has started to compete with some of the top wineries in the nation. With local wineries popping up all over the place, it's a great time to be a wine enthusiast, especially right here in Indianapolis. With so many wineries to choose from, the Indianapolis area could be considered a taster's dream. In fact, Indianapolis is home to the Indy International Wine Competition, which is largest scientifically organized and independent wine competition in the United States. Indianapolis also offers the Vintage Indiana Food and Wine Festival downtown each year (It's coming up on June 7!) But if you happen to miss the fun, you can sip at your own pace by visiting wineries on the Indy Wine Trail. Now, on to some of the best local wineries we have in and around Indianapolis. Easlery Winery is located in the heart of downtown Indianapolis. Their tasting room and gift shop is open 7 days a week, where you can sample 7 wines of your choice for $5. Known for their sweet wines, Easley has a full range of wines for even the driest palette. Their best seller is Reggae Red, tastes like grape juice with a kick. They offer winery tours on the weekends if you're curious as to how their wine is crafted. And their space can be rented out for meetings or other special events. Located in Plainfield, Chateau Thomas has been crafting wines for the last 29 years. They offer a full range of wines - from dry to desserts. Samples are 5 for $5. Their banquet rooms are ideal for weddings or formal events. They also have tasting rooms located in Fishers and Nashville, Indiana. Nestled on the Southeast side of Indianapolis right off of I-74, Buck Creek is open 7 days a week for tastings. Their wines all feature their infamous namesake Buck on the label and are sure to please. They frequently host musicians on the weekend. But if you can't make it out to their tasting room, their wines are available for purchase at several local stores. Harmony Winery will make music with your taste buds in Fishers, Indiana. Known for their events - Chili bowl Saturdays, euchre parties, ladies nights, etc - Harmony offers a warm environment in which to relax and enjoy their wine. They offer wine making on site and custom-made labels perfect for celebrating weddings, anniversaries, or other special occasions. Mead is a honey wine, and New Day makes it oh, so well. Located in Fountain Square, New Day has a modern tasting room, where they offer tastings 6 days a week (They're closed on Mondays). If you're not into mead, they also make - and sample - their hard ciders. They work with a strict adherence to using fresh, locally grown fruit and honey which forces them to keep their quantities small. But it's that same reverence for quality over quantitiy that makes their mead so highly prized. If you're looking to take a road trip, we equally love Oliver Winery in Bloomington, River City Winery in New Albany, and Ertel Cellars Winery in Batesville! What wineries do you enjoy around Indianapolis? Comment below!